The roots of Asian society lie in the careful attention given to reflective thought on the needs of all society and in the conscious development of effort as a process of spiritual awakening or enlightenment (kaigan) for everyone, working in relationship and harmony (wa). This is embedded in the East and is particularly visible in Japanese culture. Traditionally, the teaching of classical Okinawan karate also integrated the principles of kaigan and wa and was imparted through close one-to-one care, attention and guidance given to a student by a master teacher. 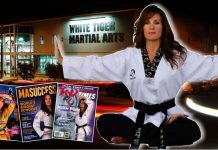 This was central to the teaching tradition of the old karate masters and formed the core of the karate Program. As with many words, common use of the term teacher has steadily robbed it of any depth of meaning. It pays to examine it more closely and in particular to go beyond the term teacher and understand what lies hidden in the further term master teacher. The simple definition of a teacher is that he (or she) instructs another in one or several subject matters. A teacher has achieved fluent control of their area of expertise and they have established an effortless relationship with the materials, processes and outputs of their chosen field and are able to communicate this to others. A master teacher is something more. A true master teacher has progressed beyond this to a deep understanding of humanity itself so that he/she is able to see what needs to be nurtured and at the same time deeply understands and can guide the learner through the process of struggle, learning and growth that yields maturity. He can grow future teachers and indeed future master teachers. The result of a teacher’s work is output. The result of a master teacher’s work is people. Whereas a shogakusha, beginning learner of classical Okinawan karate sees the art as a practical means of self-defense and as a method to condition the body, a master teacher understands that classical karate is a path of life and philosophy that both teacher and learner pursues in the search for enlightenment. In Japanese this is referred to as michi. The master teacher strives at his art, for it to always carry the light. He strives at himself, for his virtue to be capable of the task. His teaching is a calling. Classical karate is an art that embodies physical practice, theory, and ethics (moral philosophy and spiritual foundation). In the initial stages, most classical karate instruction concerns itself with physical practice and theory, with ethics being revealed in time, under the careful guidance of a master teacher. The physical practice and theory involves learning and integrating a broad range of fundamental physical skills as well as the underlying physiological and psychological principles upon which the self-protection arts rest. The physical practice and theory of classical Okinawan karate encompasses a core curriculum designed to ensure that the learner achieves the highest level of skill for its intended utilitarian purposes i.e. the simple yet effectively brutal self-defense, while at the same time nurturing the active direction of attention to the philosophical and spiritual aspect of the art. While the immediate output of physical practice and theory is effort, it always has internal as well as external results. Dedicated training requires internal effort, developing the self-control necessary to master a skill for instance, which results in the internal competence to be able to apply that skill. In all growth processes the internal stages occur unseen – below ground – and a master teacher will nurture that process, feeding the roots. What flowers comes later are of its own accord, i.e. the internal always precedes the external, and patience is essential because time is the true judge. While physical practice and theory provides for technical competency, it should not be seen as an end in itself. The core mission of physical practice and theory is to provide a conduit in which human growth occurs and where the meaning of all things is seen in the context of the whole and thus each thing is done for its intrinsic value, a process in which both the master teacher and learner express themselves, listen, absorb, respond, and find themselves incrementally enlightened through their relationship. “One of the most significant features we find in the practice of archery, and in fact of all the arts as they are studied in Japan and probably also in other Far Eastern countries, is that they are not intended for utilitarian purposes only or for purely aesthetic enjoyments, but are meant to train the mind; indeed, to bring it into contact with the ultimate reality. Archery is, therefore, not practiced solely for hitting the target; the swordsman does not wield the sword just for the sake of outdoing his opponent; the dancer does not dance just to perform certain rhythmical movements of the body. The mind has first to be attuned to the unconscious. 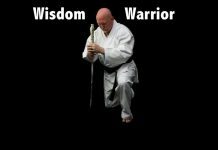 In modern times, far too commonly, there is no explicit discussion of the philosophical and spiritual foundation alive in karate practices, leaving the learner inarticulate about the effect this has on ones life. 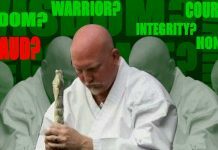 There is much to be gained by the conscious prompting of discussion in this area in view of the fact that karate’s origins dealt not only with conflicts restricted to situations resulting in physical aggression but sought to confront internalized conflicts so that the learner could strive to overcome their fears, doubts, and inhibitions. What was true in the beginning is still true today, i.e. that the development of the inner self develops personal humility, respect and tolerance for all things of the universe and it is through this austere training that the learner is able to avoid life’s obstacles and overcome insurmountable odds in order to live happily and without conflict. This is the true pursuit of classical Okinawan karate study. The roots of this practical philosophy lie in the Japanese concept of Shugyo, the dynamic interplay of patience and humility. In classical Okinawan karate learners go through three phases of development. This development is a protracted endeavor which many people never achieve, and which master teachers would say repeat and never end. The processes of growth are slow and the phases of development have to be nurtured over time. 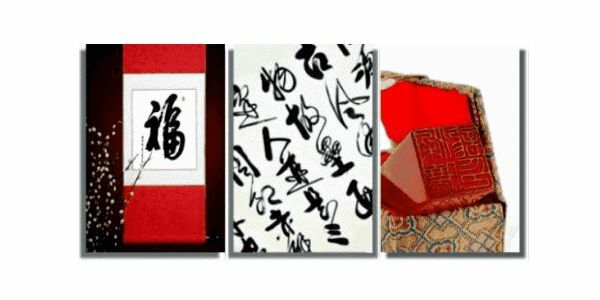 The three phases of development are known in Japanese culture as Shu Ha Ri. While starting from Confucian roots teaching in Japan has been substantially shaped by Zen practice. In particular the teaching of classical Okinawan karate is structured through the shu ha ri cycle of minute attention to detail, the development of complete technical fluency and then an alert responsiveness to circumstances very analogous to Zen learning emphasizing the closeness and subtlety of the master/student relationship and its longevity, through repeating cycles of action and reflection over time, in a three-fold learning process. Shu ha ri as a learning process which goes from superficial to profound to superficial, so that there is first a external understanding based upon learning rules by rote; the second stage involves expanding the learning to various applications and situations, in order to deepen; and the final stage is superficial again, as one reaches the ultimate phase all attachments are severed and one is completely emancipated. This emancipation, however, leads one back to the beginning and the foundations of his education. The final phase brings one back to the first steps of learning the rules, but now the rules can be understood from a perspective of freedom, in that they are applied not through unquestioning replication but through an understanding of their inherent wisdom. In this context, the responsibility carried by the master teacher for formative guidance – for care and respect for the person being guided – and the responsibility of the student to try to give life to the guidance of the master teacher – a reciprocal caring and respect – is tangible. But so is the Japanese view of life as a learning process of growth towards aware maturity, in which activities are always worked at for their spiritual content. The heightened empathy, seeking out the root causes of things, and realizing its potential for good, is at the heart of classical Okinawan karate. These building blocks are central to the teaching of classical Okinawan karate. Sensitivity to the detail of circumstance has to be combined with the observations of others captured from their experience and passed on as advice. Out of the struggle of this combination process comes enlightenment. In all this the experience is primary, as much of what the master teacher is passing on can only be passed on in context. Competence cannot be developed in abstract. It cannot be taught in a handing over information in a classroom sense, because it is not abstract information. It is a set of dynamic skills, alert sensitivity and well-honed responses to circumstances that has to be developed in guided practice. This provides a framework for the master teacher to impart and teach classical Okinawan karate. Specifically, it highlights the real responsibility of the master teacher as an archetype and catalyst, not simply as a custodian of information. It is as though the master had said to him, “I can tell you there is something you need to know, and with my help you may be able to learn it. But I cannot tell you what it is in a way you can now understand. I can only arrange for you to have the right sorts of experience for yourself. You must be willing, therefore, to have these experiences. Then you will be able to make an informed choice about whether you wish to continue. If you are unwilling to step into this new experience without knowing ahead of time what it will be like, I cannot help you. You must trust me.” Author unknown. Anthony DiFilippo is the owner of the Ryukyu Kodokan Dojo and Silk Road Enterprise. He holds Yudansha grades in Koryu Uchinadi Kenpo Jutsu and Okinawan Shorin Ryu karate. His area of expertise is in the research and reconstruction of the applications, principles and training methodologies of old style karate and its kata.